Irish rye? If you think of Irish whiskey as the smooth, light, easy-to-drink stuff you'll get when you crack open a bottle of Jameson or Tullamore D.E.W., the term would seem like an oxymoron. 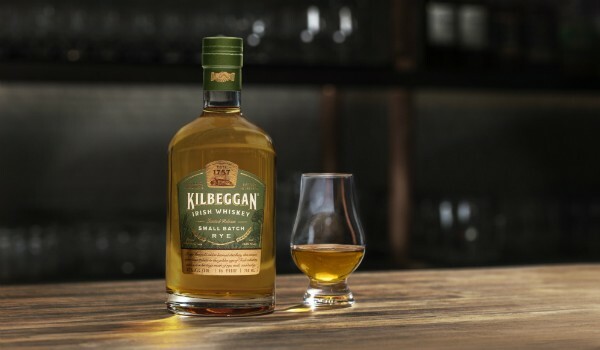 But according to Kilbeggan — which, as a brand that's been around since 1757, ought to know — rye was a common ingredient in Irish whiskey mashbills back in the 19th century, when the juice coming out of Ireland was the most popular whiskey in the world. Kilbeggan has had a long, rocky history, including the mothballing of its distillery in the 1950s. But in recent years, as sales of Irish whiskey have skyrocketed, it's been making a comeback, spearheaded by the restoration and reopening of the distillery in 2010. Kilbeggan Small Batch Rye (43% ABV, $35) is the first whiskey distilled and aged entirely at the new distillery since it reopened. To make it an even more auspicious occasion, the mashbill is about 30% rye, making it the first Irish whiskey to employ rye in... well, nobody can say exactly, but rest assured it's been a good long while — a century, give or take.. If you're expecting a big, bold, American-style rye, think again. Since the rye makes up less than a third of the mashbill, it's a supporting player rather than the star of the show. The base is classic Kilbeggan; smooth, creamy, a ridiculously easy and pleasurable sipper. The rye gives it a little zing, adding depth, complexity, and a gentle, warming spice. It's flavorful enough to use in cocktails, and at an affordable $35 a bottle, it's cost-effective to do so. But for my money, a glass is all you really need to get the most out of this baby. It's said that Small Batch Rye is a limited edition — how limited I know not. But I hope Kilbeggan changes its tune and puts it into the permanent lineup. In the meantime, stock up on an extra bottle or two just in case.